I approached Alissa to help me prepare for a “Figure” competition because she’s just plain good! I needed help with my posing and wanted to make sure my diet was the best it could be. 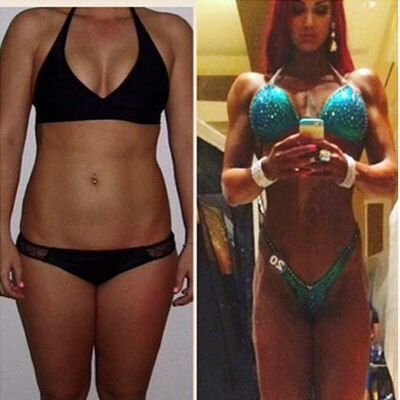 I had seen her at the gym, in competition photos and the shape she would get in ‘pre-contest’ and it blew my mind! This girl gets results! I had been thinking about doing a competition for a while, but quite honestly I was just scared! 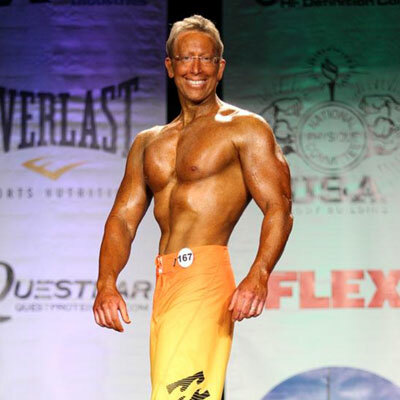 I knew I could do the workouts and even the hard diet and get in great shape but I wasn’t sure if I could learn how to do the posing and go on stage without looking like an idiot! I also wanted to make sure the way I was planning to do my diet was exactly right, for my body! Alissa knows her nutrition so well and helped me lay out a very specific diet and carb cylce for my body type. Alissa doesn’t do ‘cookie-cutter’ diets like some nutritionists out there. She’s the real-deal! Her nutrition coaching is priceless. For me however, the posing was the hardest part. It’s not natural to stand there and flex but somehow look relaxed and feminine at the same time. Posing is a true artform and Alissa is a master! She takes a totally awkward thing and turns it into something so graceful. I was really nervous and felt like I had two left feet. I wasn’t even sure if I could go on stage without falling or shaking or completely messing up!!!! It was so scary in the beginning but after working with Alissa, i knew i could do it! She was patient and made me feel comfortable in the most uncomfortable moments! I am a Personal trainer myself and also had a Trainer, but I still needed Alissa’s professional assistance. She was an integral part of my success at my first competitions. I ended up winning first place at Muscle Mania & third place at Border States! I took home two trophies! I wasn’t expecting to win….I just wanted to go up there without falling! Lol! I could not have done it without her! Alissa Parker is by far one of the strongest individuals I know, inside and out, and working with her was an absolutely incredible experience! She is so talented and knowledgeable in the health and fitness field and it was just an honor to learn from her. I will definitely be hiring her for my next show! Working with Alissa is in an invaluable part of getting in the shape you want! Call her! She’s amazing!! I cannot thank Alissa enough for how she supported and guided me to success as a figure competitor! She is an expert in every aspect of competition from the training, to posing, nutrition/diet, suit selection, makeup, etc. Her approach to competition prep is realistic and practical, which kept me moving toward my goal in a sane and focused way. The transformation by body went through was amazing and I was so glad I had her as my competition coach! Her plan and my effort created a winning combination that I will always remember. I approached Alissa for a meal plan. I told her that I am a fireman and that I play rugby. My job alone is difficult and I don’t have a lot of time to prepare food at the fire house, add rugby to the mix and my body was taking a beating. I wanted to eat better and increase muscle mass so I could be more competitive on the pitch and tear it up at work. Alissa came up with a great meal plan for me. There was very little prep and a tremendous amount of nutrition. She is always asking me how things are going and she is constantly “tweaking” my diet with the information that I give her. Alissa is very knowledgable when it comes to diets, supplements and work out regimens. I would recommend Alissa to anyone who wants to achieve there personal goals. Wether your an elite athlete or someone who wants to lose weight, Alissa can make it happen. Thanks Alissa! Where do I start about Alissa? I first met Alissa about 3.5 years ago. I had recently lost some weight (20 lbs to be exact) and wanted to push myself further in my fitness. I wasn't sure how, or where to start. I had heard about fitness competitions but didn't know who to talk to about it until, a close friend recommended me to Alissa; and I am so glad they did. Alissa helped me prep for my first figure show in 2015. She made the process personable & enjoyable. Weekly check-ins, progress updates, weekly group posing sessions and a personalized macro & workout plan. After stepping onto stage for the first time, it became an addiction. With each show I did, I looked and placed better each time. Alissa making sure to be by my side the whole way (even every show day). Alissa has been with me for 3 years of prep now. 2015, 2016 ..... in which I went all the way to USA Nationals in Las Vegas and now 2017. Hands down Alissa is an amazing coach. She is realistic, passionate and extremely knowledgeable about everything fitness. She truly is in it for your best interest. She isn't just my coach but she's become a great friend. Thank you Alissa for your love, support and encouragement throughout my entire fitness journey. Hiring Alissa Parker as my coach in 2015 was the best decision I've made on my fitness journey. Alissa's knowledge and experience in the fitness industry are invaluable. Her pragmatic and balanced approach to nutrition has allowed me to reach my fitness goals and still maintain my family lifestyle. I've learned how to keep my health a priority, even while achieving success in bodybuilding, despite the huge demands that are placed on your body. I would recommend Alissa to anyone who wants to improve their fitness levels, whether it's for weight loss, building muscle or transforming their body. Alissa was instrumental in encouraging me to enter the 2011 Border States Bodybuilding Championships in San Diego last year. Although I did previous bodybuilding contests, I had not competed in over 13 years and needed lots of help with my entire contest prep regimen from dieting to posing. With Alissa’s expert teaching and coaching, my diet came together at the exact right time! She spelled out exactly what to eat, when to eat it, and regulated my food portions right up to the show. She also helped adjust my training for the show to look my best on stage. The last week is the most critical, and Alissa adjusted my diet the last few days before the contest so I could be at my peak. Alissa was always accessible through emails and phone calls—even when I freaked out because I thought my abs looked too flat a week before the big show. She calmed me down over the phone and told me what to do and what supplements to take. I’m a 29 year old service manager with a passion for fitness. My trouble area has always been dieting. It is definitely a science that I had no training on. Fortunately Alissa worked out at my gym and I was able to shower her with all my questions. I had 2 and a half months to lose 30 pounds of fat in order to be anywhere close to ready for my amature bodybuilding contest. Over night Alissa put together some meal plans and workout schedules that would do the job. What I thought was the most incredible besides the results was that there was a different meal plan for each phase of my weight loss program. Alissa is absolutely amazing, I’m looking to her in prepration for my next contest.